When your pet has an emergency, being prepared is very important. Approach the pet carefully to avoid getting bitten. Muzzle the animal. Check the wound for contamination or debris. If significant debris is present, then clean the wound with large amounts of saline or balanced electrolyte solution. If these are not available, then regular water may be used. Wrap large open wounds to keep them clean. Apply pressure to profusely bleeding wounds. Do not use a tourniquet. Wear gloves when possible. Apply firm, direct pressure over the bleeding area until the bleeding stops. Hold the pressure for at least 10 straight minutes (continually releasing the pressure to check the wound will hamper the clotting). Avoid bandages that cut off circulation. Check to see if the animal is choking on a foreign object. If an animal is not breathing, place it on a firm surface with its left side up. Check for a heartbeat by listening at the area where the elbow touches the chest. If you hear a heartbeat but not breathing, close the animal's mouth and breathe directly into its nose--not the mouth--until the chest expands. Repeat 12 to 15 times per minute. If there is no pulse, apply heart massage at the same time. The heart is located in the lower half of the chest, behind the elbow of the front left leg. Place one hand below the heart to support the chest. Place other hand over the heart and compress gently. To massage the hearts of cats and other tiny pets, compress the chest with the thumb and forefingers of one hand. Apply heart massage 80-120 times per minute for larger animals and 100-150 per minute for smaller ones. Alternate heart massage with breathing. Flush the burn immediately with large amounts of cool, running water. Apply an ice pack for 15-20 minutes. Do not place an ice pack directly on the skin. Wrap the pack in a light towel or other cover. If the animal has large quantities of dry chemicals on its skin, brush them off. Water may activate some dry chemicals. Be sure to protect yourself as well as the animal, as the pet will likely be frantic and may be more likely to bite. If the pet can still partially breathe, it's best to keep the animal calm and get to a veterinarian as quickly as possible. Look into the mouth to see if foreign object in throat is visible. If you can, clear the airway by removing the object with pliers or tweezers, being careful not to push it farther down the throat. If it is lodged too deep or if the pet collapses, then place your hands on both sides of the animal's rib cage and apply firm, quick pressure. Or place the animal on its side and strike the side of the rib cage firmly with the palm of your hand three or four times. Repeat this procedure until the object is dislodged or you arrive at the veterinarian's office. Withhold food for 12-24 hours, but not water. Sometimes pets that appear to be straining are sore from diarrhea rather than from constipation. Your veterinarian can help you decide which it is and what will help. Trying at-home treatments without knowing the real cause can just make things worse. Muzzle the pet and look for bleeding. If you can control bleeding without causing more injury, then do so. Watch for signs of shock. DO NOT TRY TO SET THE FRACTURE by pulling or tugging on the limb. Transport the pet to the veterinarian immediately, supporting the injured part as best you can. Place the animal in a tub of cool water. Or, gently soak the animal with a garden hose or wrap it in a cool, wet towel. Do not overcool the animal. Stop cooling when rectal temperature reaches 103 degrees Fahrenheit. Record what the pet ingested and how much. Immediately call your veterinarian or poison control center. Do not induce vomiting. In case of toxins or chemicals on the skin from oils, paints, insecticides and other contact irritants, request directions on if and how to wash the toxin off. Shock may occur as a result of a serious injury or fright. Keep the animal gently restrained, quiet, and warm, with the lower body elevated. Withhold food for 12-24 hours. Give the pet ice cubes for two hours after vomiting stops, then slowly increase the amount of water and foods given over a 24-hour period. Use a strip of soft cloth, rope, necktie, or nylon stocking. Wrap around the nose, under the chin and tie behind the ears. Care must be taken when handling weak or injured pets. Even normally docile pets will bite when in pain. Allow the pet to pant after handling by loosening or removing the muzzle. Do not use a muzzle in a case of vomiting. Cats and small pets may be difficult to muzzle. A towel placed around the head will help control small pets. A door, board, blanket, or floor mat can be used as a stretcher to transport injured or weak animals. If your pet's emergency is not covered here, please call your veterinarian immediately. 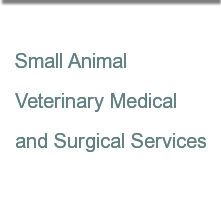 If you are away from home, you can find a veterinarian near you by using the AAHA-accredited hospital directory.